PSH: I’m here today with Dr Jeremy Hunt who has his clinic in Edgecliff here in Sydney. Thank you so much for taking time to talk to us today. PSH: Just a couple of questions. Can you give us a quick run-down of your clinic and what you actually offer there? 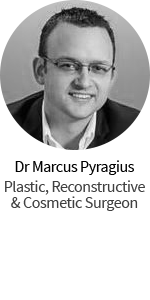 Dr Hunt: So, I run what you call a modern plastic surgery clinic, with a big emphasis on cosmetic surgery procedures. So we’ll do operations ranging from facelifts through rhinoplasty; we’ll do breast surgery be it reductions or augmentations, and then abdominal contouring surgery. So I deal with a wide spectrum of patients, different ages and all my patients are a pleasure to deal with. PSH: Yup, fantastic. Can you tell us what after surgery care you offer and why it’s so important to provide this to your patients? 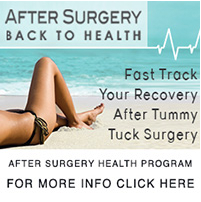 Why it’s such an important part of the process when having surgery? Dr Hunt: I think what patients need to consider is that surgery is just one part of the process. So the process is the lead up to the operation; the actual operation; and then there’s gonna be the after care and the recovery after the surgical procedure. And patients want that to be as smooth and efficient as they can so they can make a quick return to normal activities. PSH: Exactly, and that’s the good thing about having a plastic surgeon that you see here, you’re not going to have to worry about the after care if something goes wrong they’re just around the corner. PSH: We hear those horror stories every day. Dr Hunt: We do here. 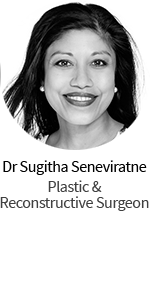 I think in Australia we are blessed with some of the highest standards of plastic surgical training in the world. We have excellent hospitals, we have excellent nursing staff. For me, patients who fly overseas: it’s their personal choice but they’re really but they’re leaving themselves short in terms of the pre-op understanding of the operation and then certainly the post op care. And that’s where people fall into a hole. PSH: Absolutely and then the tax payer foots the bill. Dr Hunt: The recovery from a complication when your surgeon is 5000 km away can be really complicated. It can quite be costly for the patient; it can be amazingly stressful ‘cause they really don’t know where to turn. So, my advice to patients is always going to be that you need to have a surgeon who is amicable, who’s always available, who’s always going to be highly qualified and who’s prepared to listen to you anytime day or night. And that way you’re guaranteed of getting the best result possible. PSH: Definitely. Now, what’s a point of difference about you and your clinic that your patients are drawn to? Dr Hunt: I think the real person you have to ask is going to be the patient. The patients do feedback to a lot of my staff that my clinic is amazingly relaxed. It’s down to earth; it’s almost like a family environment where people are free to express how they feel about things. We have an honest approach and patients really respond to it and they really respect it. They don’t need razzle dazzle; they need to be treated with respect. And I think that’s the key to why my practice is continuing to move forward. PSH: Yeah I love that authenticity to it – it’s so important because you don’t get that lot, or everywhere. Dr Hunt: Yeah, absolutely. I think that online you it can be very easy to use the smoke and mirrors. But once patients walk into the door it has to be personable; it has to be professional, understanding, compassionate – and then patients really do get the full experience. PSH: Exactly, and you can see that by the reviews that you get anyway like that’s really obvious. Dr Hunt: Yeah, I’m blessed to have good patients and the ones who do get online and express how they feel about it… I’m very grateful. PSH: Yeah, awesome. Just one last, oh actually 2 questions, you often perform many different procedures in your surgery but is one particular one that you prefer and if so why? Dr Hunt: I do like all aspects of surgery. I think that in my practice not focussing on one technique or one procedure… it almost gives me the ability to look at patients globally. 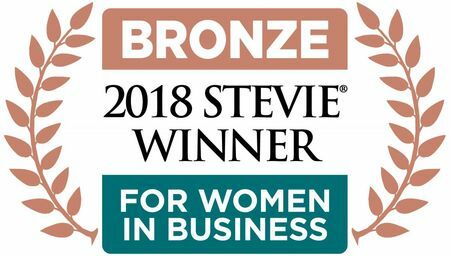 So patients can come in and they may have an issue with say a rhinoplasty but at the same surgical procedure we can then address any abdominal issues or breast issues they might have and for the patients, that’s a huge advantage – one visit with the surgeon; one visit with the hospital; one recovery. Dr Hunt: And then they’re up and running. So to me it’s, my favorite is probably the ability to just satisfy patients, needs and expectations in one surgical sitting without having to have them run around town. Dr Hunt: That’s what I enjoy. PSH: Yup, totally. That’s great. 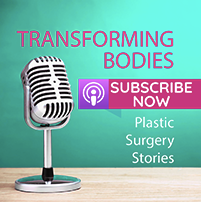 And is there anything that you think patients overlook in their planning for their plastic surgery procedures? Dr Hunt: I do think patients sometimes overlook what’s most important and the most important is going to be the result that they get as individual: so that seeing somebody else’s results online is a guide. But everyone’s going to be individual so for them the key is going to be finding a surgeon who can deliver the result they’re looking for; understand what they’re looking for and then do it in the safest, most predictable environment. I really do think that a lot of patients don’t understand how important that is and really that is the key to success. PSH: Yeah absolutely, I totally agree. And sometimes they do understand it but it’s too late because they’ve already gone down a different path. PSH: Yup. Oh lovely. Thank you so much for taking time to talk to us today. 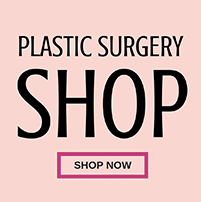 So if you’d like to get in touch with Dr Hunt, just click on the link just below this video or send us an email at info@plasticsurgeryhub.com.au. Thank you.